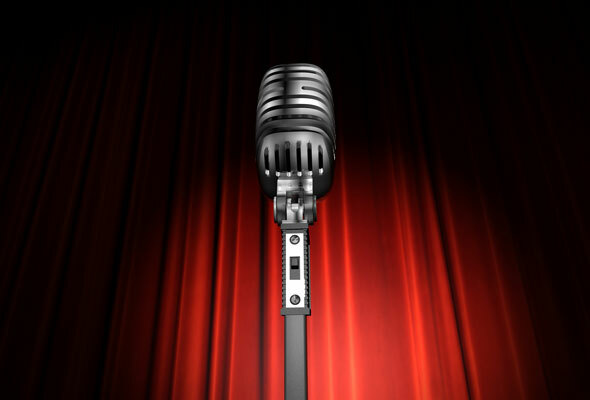 Please join the DC Cabaret Network for our next monthly Open Mic Night on Monday, June 11, 2012 at the beautiful Atlas Performing Arts Center. The music director for the evening is TBA. As usual, the sign-up starts at 7:30 p.m. and singing will begin at 8:00 p.m. There is a cash bar, and light snacks are available for purchase. Enjoy a great evening of live music performed by you as well as members and friends of the DC Cabaret Network. We love an audience, too, so if you just want to come and listen to cabaret performers, please join us! 1333 H St. NE, Washington, D.C.
Join the DC Cabaret Network for our May Open Mic Night on Monday, May 7th at the Atlas Performing Arts Center! Our special guest host for the evening is Ron Squeri. Music directing that night will be Mary Sugar. Come sing, listen or do both! Cash bar and snack bar.